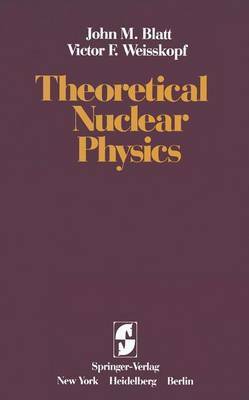 The last twenty years have witnessed an enormous development of nuclear physics. A large number of data have accumulated and many experimental facts are known. As the experimental techniques have achieved greater and greater perfection, the theoretical analysis and interpretation of these data have become correspondingly more accurate and detailed. The development of nuclear physics has depended on the development of physics as a whole. While there were interesting speculations about nuclear constitution as early as 1922, it was impossible to make any quantitative theory of even the simplest nucleus until the discovery of quantum mechanics on the one hand, and the development of experimental methods sufficiently sensitive to detect the presence of a neutral particle (the neutron) on the other hand. The further development of our understanding of the nucleus has depended, and still depends, on the development of ever more powerful experimental techniques for measuring nuclear properties and more powerful theoretical techniques for correlating these properties. Practically every "simple," "reasonable," and "plausible" assumption made in theoretical nuclear physics has turned out to be in need of refinement; and the numerous attempts to derive nuclear forces and the properties of nuclei from a more" fundamental" approach than the analysis of the data have proved unsuccessful so far. Nuclear physics is by no means a finished edifice.